Hiring a children's entertainer is something that parents and other party organisers just have to get right because children can be very unforgiving if you don't. For a birthday party, perhaps an end of season celebration for Brownies or Cubs, there's the added benefit of a clown or a magician holding the children's attention for a while so that the adults can take a rest. The first thing you need to do is find out how wide the age range of the children will be as this helps identify some types of children's entertainers that won't work. Clowns and magicians illustrate this perfectly. 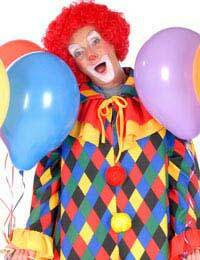 Clowns are great for younger children, for example, but traditional clown makeup can scare very small children. Look for clowns who target the very young as they will be aware of these pitfalls, and be aware also that a clown might bore children of around nine or over. Magicians are better for those older children but will not engage younger children as they don’t understand the inherent deceit involved in magic and therefore can't see the entertainment value. As with many other services that you can hire, a personal recommendation is the best way of finding a children's entertainer who can deliver the goods. But, certainly for birthday parties, it will be difficult to hire a children's entertainer who another child has had at their party. The pressure is on for each parent to come up with a new birthday party idea every time. This means that you will have to look outside your child's social group to get a recommendation for a children's entertainer who they haven't seen before, something that could be quite difficult in a rural or even semi-rural area. Internet searches for children's entertainers in your area can be a good starting point but make sure you speak to someone, and preferably meet them, before making a booking with them. A good children's entertainer will not be fazed if you ask to attend a birthday party where they are working to see what they do and check it's suitability for your child's birthday party. So don't be afraid to ask them if you can do that but expect to wait while they check it with the hosts first. Finally, in this litigation conscious age, you need to make sure that the children's entertainer you finally settle on has public liability insurance and preferably, is Criminal Records Bureau (CRB) checked. The last thing you need is some zealous parent suing you because they child has broken out in an allergic reaction to the face paint, or something equally traumatic. The CRB check is a performed on the children's entertainer's criminal past (if any) by referring to information held on police records and in certain cases, those held by the Department of Health and the Department for Children, Schools and Families. Someone who has been CRB checked will have a copy of the paperwork from the CRB (called 'the Disclosure') that they can show you. This might seem like a lot of fuss about nothing, but if the worst does happen, it's better to be protected. It's something less to worry about so that you can crack on and start dreaming up great new birthday party ideas for your children and their friends.